Sparks are certainly an acquired taste. 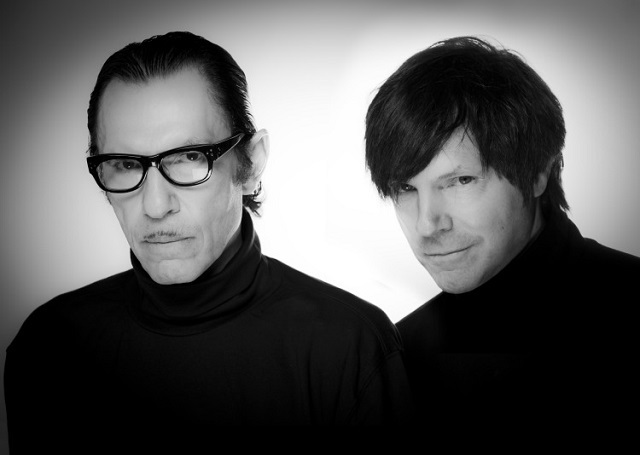 The brothers Ronald and Russell Mael have been touring their Two Hands, One Mouth show for several years now. In so doing, Ron Mael (two hands on keyboards) and Russell Mael (one mouth on vocals) have condensed their catalogue into a vaudevillian presentation of their efforts to deconstruct pop music. It’s not music for the masses, so its reception in any given venue is going to be a bit of a mystery. The Maels openly wondered if they would be well received at the 9:30 Club on Sunday evening after a long absence from D.C. At the end of the show, they seemed quite pleased with the comfortably half-full club, which contained quite a few admirers of Sparks’ clever word play and occasionally theatrical posturing. 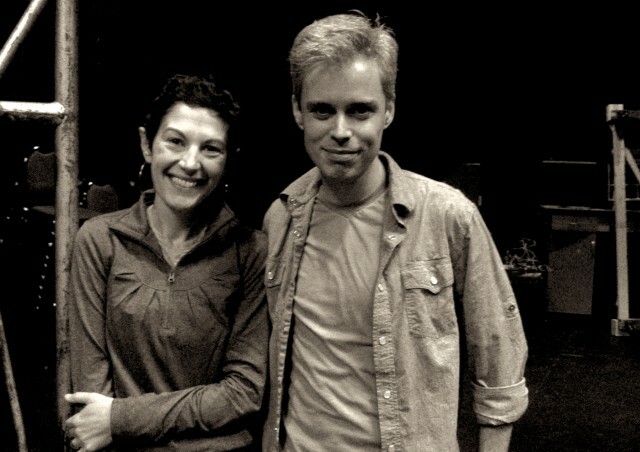 Rachel Grossman, Jon Reynolds, and Lorraine Ressegger-Slone are the Ring Leaders of dog & pony dc, an ensemble of artists who devise innovative performances that incorporate new ways for audiences to experience theatre. I sat down with Rachel and Jon to talk about their company’s unique production process and what it takes to integrate audiences in original and effective ways. Joanna Castle Miller: How do you decide what shows to include in a season? 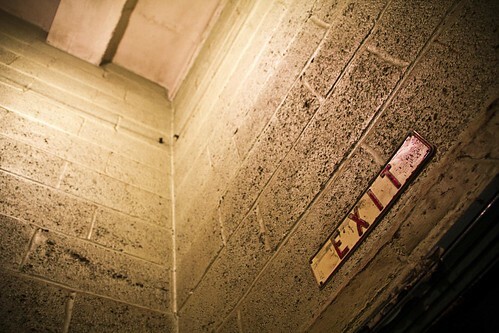 Rachel Grossman: Well the first step is we don’t, because we don’t have a season, which is not to be dismissive. Twice a year we have what’s called a future projects meeting – the equivalent of a season planning meeting – with the entire ensemble. 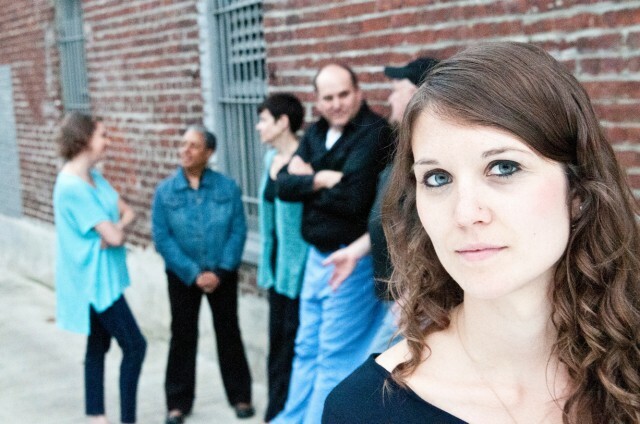 Among many other roles in local and national theater, Jojo Ruf is the Executive and Creative Director for an exciting new playwrights’ collective called The Welders. Over the next three years, The Welders intend to produce a new play by each of their 5 members. At the end of that time, they will pass on the entire project to a different set of writers, thus ensuring the collective continues. I sat down with Jojo to talk about DC theater, The Welders, and the state of new plays in our area. 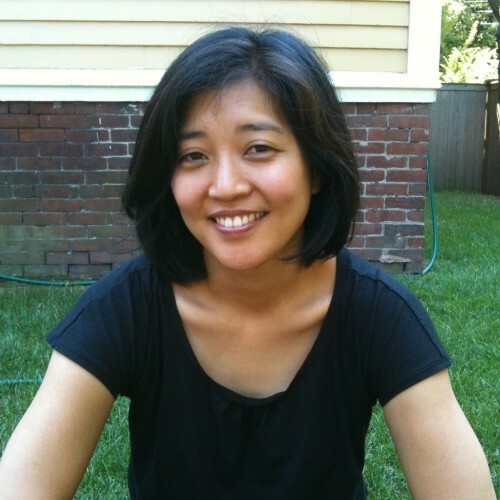 Playwright Mia Chung is a member of New Dramatists and the Ma-Yi Writers Lab. She is a Rhode Island State Council on the Arts (RISCA) playwriting fellow and a Theatre Communications Group (TCG) Global Connections grantee. 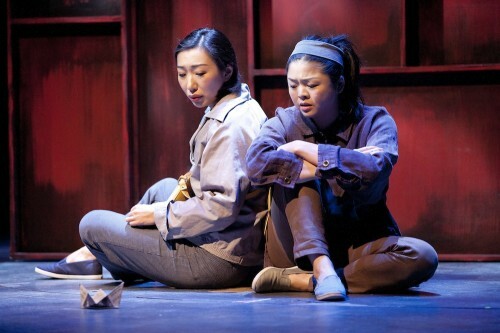 Her work has appeared on many stages, but most recently can be seen at Woolly Mammoth Theatre Company’s You for Me for You—a magical realism play about two North Korean sisters separated from each other against their wills. You for Me for You is the first show of Woolly Mammoth’s Free the Beast initiative, which aims to produce 25 new plays over a ten-year period (2013-2022). Mia recently spoke with me about playwriting, Asian-American representation in theater, and what the DC theater world has done to encourage her continued success. Founded by Deb Gottesman and Buzz Mauro, The Theatre Lab’s mission is to transform lives through theater by making training accessible to everyone, regardless of age, income, or experience level. The Theatre Lab leads programs and classes ranging from beginner to professional level. They also develop numerous initiatives for marginalized populations within DC, including giving out more than $78,000 in scholarships to disadvantaged students each year. 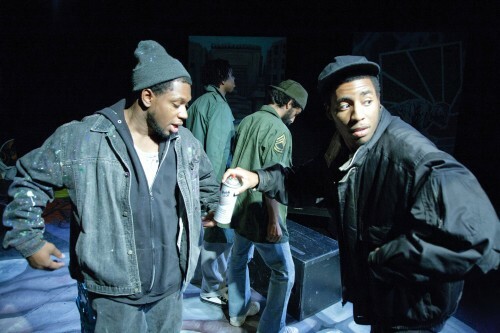 Perhaps most notably, The Theatre Lab’s Life Stories program teaches people from typically marginalized populations like incarcerated and at-risk youth, seniors, critically ill children, and homeless women in recovery to create original dramatic works based on their real-life experiences. On November 12, DC’s Theatre Lab School of the Dramatic Arts celebrated 20 years at its annual Cabaret Benefit. For the organization’s anniversary, founder Deb Gottesman was kind enough to talk with me about The Theatre Lab’s progress over the last two decades. Rarely does any show depict North Korea, let alone without jokes about the crazy Kim family or nuclear missiles. The people who struggle there, and who risk everything to flee, remain somewhat mysterious to most Americans. But they take center stage in the innovative and provocatively told You for Me for You at Woolly Mammoth Theatre Company. The show centers around two sisters who bargain with a smuggler after facing starvation at home—bargaining that spans the globe and requires everything they have. Told through magical realism, the production uses music, poetry, and very thoughtful set design to guide the story. 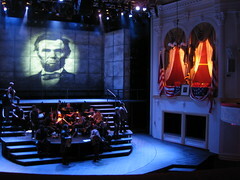 A revolving stage accentuates the element of running away. A nearly impenetrable wall represents the closed-off North Korea. On the surface, the show might sound rather dreary; but playwright Mia Chung and director Yury Urnov avoid being overly didactic or political, and as a result the setting never weighs down the piece. Instead, the storytelling feels well-balanced between comedy and tragedy, between light and darkness. 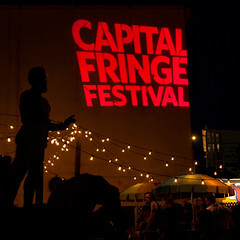 For anyone interested in an adventure, the Capital Fringe Festival is back with over 130 productions in 15 venues across downtown DC, ranging from highly experimental performance art to staged clown shows for the kids. 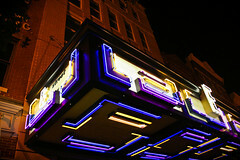 The frenzy opens this Thursday and runs July 12-29, 2012. 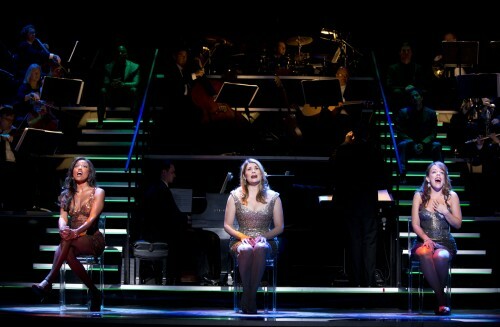 First You Dream 2: (l-r) Patina Miller, Heidi Blickenstaff and Leslie Kritzer in the Kennedy Center production of First You Dream: The Music of Kander & Ebb. Photo by Joan Marcus. A revue can be a strange beast. Typically a small cast comes together for a night of songs wholly unrelated to each other except a common lyricist or composer. The music often has very little context surrounding it, which can be alienating if you’ve never heard the tunes, but fun if you’re familiar with the material and can enjoy the variety. Rarely does a revue break from that framework, and First You Dream: The Music of Kander & Ebb is no exception. A project conceived and directed by Eric Schaeffer of Signature Theatre, First You Dream contains all the cheese you would expect in a revue, with the glitz and glam of a Kennedy Center production backed up with an all-Broadway cast of James Clow, Heidi Blickenstaff, Matthew Scott, Alan H. Green, Leslie Kritzer, and Patina Miller..
Before attending The Animals and Children Took to the Streets, I’d heard it described a lot of ways: “Tim Burton meets Charles Dickens,” staged graphic novel, fairy tale, silent film, animated movie, pantomime, live children’s book for adults, and musical. 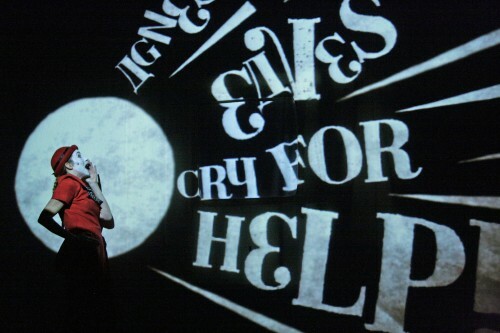 Produced by acclaimed British theater company 1927 and hosted by Studio Theatre, Animals and Children is probably unlike anything you’ve seen before. Mixing animation, live music, pantomime, and monologue, the show playfully takes us into a world we never imagined could exist on stage. In case you haven’t noticed, the DC theater community is growing, and fast; but what kind of plays can we look forward to down the road? 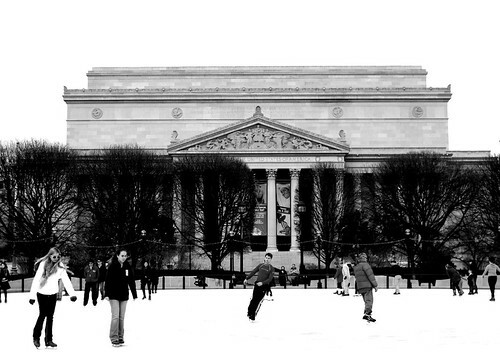 If you’re interested in the future of DC theater, there’s no better place to look than toward our youngest playwrights. Next Monday and Tuesday, April 23-24 at 7:30pm, Young Playwrights’ Theater (YPT) will present 12 new plays by area youth at their annual New Play Festival at GALA Hispanic Theatre. I moved to DC (okay, NoVa to be exact) from New York via my hometown of Memphis, and love the fact that here I can get moonshine and fried pickles but still have winter sports and a subway system. I love that DC is misunderstood and can play the victim. The city as a whole doesn’t deserve the conniving (or worse! boring) name it gets in the debates. On the same avenues as the “Washington elite” you’ll meet incredible actors, vocalists, writers and some of the most innovative designers and techies in the business – not political elites, just gifted go-getters who are passionate about their work and more creative than 10 Congresses. I love that DC is filled with activists who volunteer their rare free time to stand up for things that matter; and I love that people come to DC from all over the world to make their voices heard. Jeff Kirkman III, Alexander Burton, Michael Rodriguez and Stanley Andrew Jackson III; Junesong Arts’ We Fight We Die. Photo by C. Stanley Photography. Self-defined as representing the masses, it’s no surprise that a majority of Americans approve of the now-global “Occupy” movement—they understand it as the manifestation of desperation, a fight where compromise failed. Feeling powerless in the face of corporate greed and political corruption, hundreds of thousands are venting their anger in the most public, most drastic way possible: by taking to the streets. But what about those who are neither among the wealthy one percent, nor among the “other ninety-nine”? That is, those truly at the bottom, for whom money-hungry CEOs and rotten Congressmen are perhaps the least of worries; for whom starvation, extreme cold, or gang violence are a much more real threat than losing healthcare or facing foreclosure. Where can they rally? 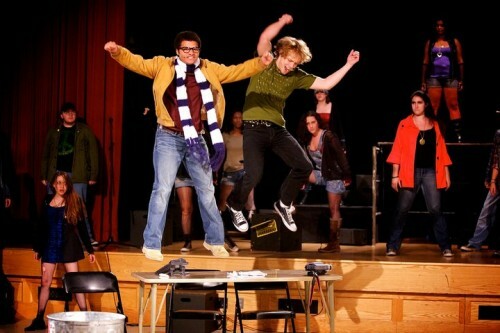 How can they express themselves? 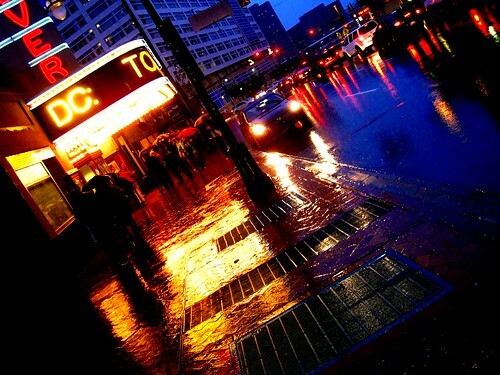 2010 was a stellar year for theater in DC. When I think back on favorite reviews this year, it’s the challenges that resonate strongest. As a former actor who’s “jumped the stalls” to become a critic, it can sometimes be difficult, knowing how hard it is to bleed your heart out on stage only to be cut up in a review. But I believe strongly in being honest and thoughtful about your opinion, no matter how stridently others may disagree with you (and to stay civil when they do!). After all, feeling passionate about theater is an emotion we should all nurture. Fellow We Love DC theater reviewers Don and Patrick feel the same. We love theater, and strive to see as much as we can to bring you our thoughtful critiques. Though the three of us have different backgrounds – Patrick and I from both behind the curtain and onstage, Don in the audience – it’s the common desire to spread the word on the best theater in DC that drives us to write. We hope you’ve enjoyed our reviews in 2010, and we’ve pulled together a selection of our favorites to look back on and enjoy. Let’s start with Don (who never pulls any punches! ), then get Patrick’s view on his first quarter reviewing with us (we didn’t scare him away! ), and I’ll caboose (because it takes me the longest to make up my mind…). I absolutely love going to see movies. The more the merrier is my opinion when it comes to movie theater real estate, especially if the theater is quaint and has some personality. 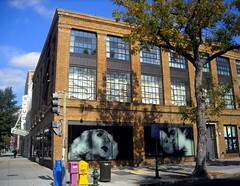 According to The Georgetown Voice and the West End Flyer, the Inner Circle triplex will reopen the West End Theater at 2301 M Street NW this fall. The Circle West End first opened on April 12, 1985 and later closed in 2004. I will bring the tickets if you get the popcorn (and Twizzlers please)! I know some of our readers are regular and devoted Fringe-goers (as well as some performers). Those of you who are have no doubt already dug through the marginally painful Fringe Festival online database of shows, read every description, plotted out what you want to see and when you can see it, and come up with a schedule allowing you to fit in as many of your desired shows as possible. If you’re on the fence or not normally someone who takes in live performances I say this to you: Go. Take a shot. 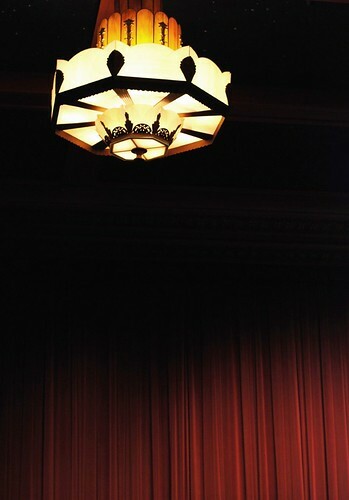 Live performance – whether it be theater, dance, or music – has a quality all its own and when it works it’s better than anything you can get recorded. The nice thing about Fringe is that, for the most part, even when it blows it’s still usually different and interesting. 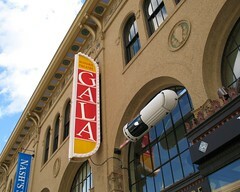 The fact that attending helps us keep a more vibrant local arts culture is icing on the cake. I’ll do my best to point you at the resources to let you pick something that’s not a stinker. Let’s take a look, shall we? This play concludes LaBute’s trilogy exploring America’s obsession with physical beauty, a trilogy he began with two Studio Theatre favorites, The Shape of Things and Fat Pig–both runaway hits. What, what? No no, wrong Ford! Okay, there we go! The National Park Service is going to do a little maintenance on Ford’s Theater at the end of next month and will close to the public between June 22 and 26th, as well as the 29th and 30th. The Petersen House property across the street where Lincoln spent his last hours among the living will remain open. They’ll open on the 27th and 28th for weekend visitors so if that’s a must-visit time frame for you that’ll have to do. Famed stage and film actor Kevin Spacey just twittered about it being a “lovely day in DC,” and he’s right: today’s going to be mid-80s and sunny, almost summery. 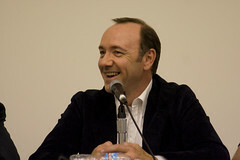 But Spacey’s not here to see the sights; via MediaBistro’s FishbowlDC we have Nikki Finke’s report that Spacey visited Cumberland Federal Prison to study imprisoned lobbyist Jack Abramoff, whom he will be playing in “Casino Jack,” a stage production described as “a modern day GoodFellas” about the Bush administration.